ServerlessDays is a community-focused, single track, one-day event that moves away from the hype and focuses on the reality of serverless based solutions. It’s about fostering a community locally and helping all of us learn from each other as we embrace a new way of building applications. This event is for everyone from experienced serverless developers to those who've only heard the buzzword and want to understand more. It will be a single day, single track, community event in Amsterdam on March 29th. 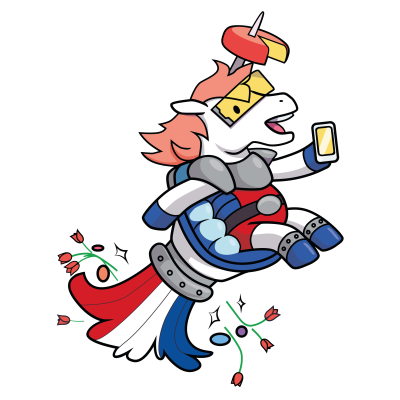 Serverless Days Amsterdam seeks to help create a diverse and inclusive community for serverless developers. We want to include and encourage people of all races, ethnicities, genders, religions, sexual orientations, abilities, technical experience, and ages. A diversity ticket includes all of the benefits of a full attendee ticket: - Paid admission to the single-day conference event in Amsterdam on March 29th - Complimentary food and beverages during the event - Conference swag Diversity scholarships do not include travel or accommodation costs. Anyone from an underrepresented group in tech is invited to apply for this scholarship. This includes, but is not limited to: - women and other gender minorities of all expressions and identities - people of color - sexuality minorities, including asexual people - people with disabilities, both visible and invisible - neurodiverse people - people with chronic illnesses or diseases - religious and ethnic minorities - age minorities (under 21, over 50) - people experiencing poverty - caregivers of children or other dependents - people who have experienced trauma and its aftermath - people living with or recovering from substance abuse If you would like to be considered for one of the tickets, please fill out and submit this form. Sorry, applications for Serverless Days Amsterdam are closed.